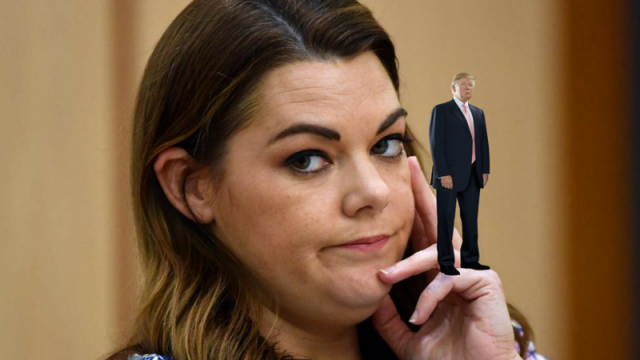 There has been much speculation among leading commentators about why Sarah Hanson Young went to Davos because it’s really quite difficult to identify a connection between the Greens economic policies and the World Economic Forum. There is a strong body of opinion that she went there for the skiing. A Coalition spokesman speculated that she was in Switzerland to arrange an alliance between the Gnomes of Zurich and the fairies at the bottom of her garden. A Reserve Bank spokesperson was confident she was arranging a Greek-style bailout to fund the Greens’ budgetary policy. By far the most compelling theory, however, is that Sarah went to Davos to secure a meeting with Trump. They obviously have a strong mutual interest in encouraging protectionism. Trump needs protection from Robert Mueller, Sarah needs protection from the federal government’s debt recovery team and they’re both in dire need of protection from each other. The two of them were obviously in complete agreement that the Trans Pacific Partnership is an absolute disaster and Bill Shorten seems about as keen on it as dual citizenship in the federal Labor Party. These are all most encouraging signs that it would be great for Australian business. A Greens Party spokesperson thought that Sarah’s trip was part of a study tour prior to her launching a new climate policy calling for Australia to be shut down for a cooling off period and reopened when it’s two degrees colder. It’s possible of course that she just wanted to avoid the looming rail strike in NSW. The prospect of being a passenger at the World Economic Forum was a much more attractive option. And for added reassurance, there’s driverless public transport in Switzerland.